“In 2012, Concrete Design Communications expertIP blog for Allstream, a national Canadian B2B communications provider. I wanted to expand our pool of writers, as I knew that a lot of content would be needed to sustain the blog over the long term. “The writers that I had worked with in the past were relatively new to B2B content marketing, so I was looking for a copywriter with experience in blogging, technology and content marketing. When I came across Rachel’s guest posts on the Content Marketing Institute’s blog, I knew she could help me bring the kind of content-focused approach I was looking for to our blog. “Before we started creating content, Rachel helped strategize approaches and contributed ideas, which added value during ideation and improved efficiency in the writing stage. It also helped that Rachel had published extensively on content marketing: sharing her content with Allstream gave them confidence in the strategy we were proposing, as well as her ability to execute. “Some writers have a strong journalism impactful content for IT companies. “I was looking for a copywriter who understood the technology industry on a high level and could communicate with our audience of IT professionals. I also needed someone who would ask the right questions during the creative process, so they could get all the information they needed to create the best copy. “I received a list of possible writers from my managers and tested them on various projects. I saw their styles, how much research they put into their writing and how long it took them to complete an assignment. I liked Rachel, because she incorporates a lot of research into her writing while keeping good timelines. Rachel also understands Softchoice’s tone and is able to speak to our audience, which is very important to us. “Rachel is very easy to work with. She’s flexible in terms of deadlines and receptive to changes. I can also tell that she puts a lot of thought into her writing, as her work requires little to no editing on our part. This saves us a lot of time and allows us to publish content quickly. “One of the biggest benefits of working with Rachel is that she provides additional value. Not only does she understand technology at a high level, but she also asks the right questions when she interviews subject matter experts. She takes the lead on the phone and helps us drive to the end result, which is the vision that I have in my head. The additional research that Rachel puts into her work makes my job easier. “One of my high-tech clients needed some web copy rewritten. I was looking for a seasoned B2B copywriter who had a successful track record working with technical copy. I had worked with other copywriters before but needed a reliable go-to resource for heavy B2B copy work. “I connected with Rachel through Twitter and decided to work with her because her prior work samples were very impressive. She also had a repeatable approach that gave me a high degree of confidence in her ability to deliver on time and within budget. “I have been working with high-tech companies for more than 15 years and have delivered more than my fair share of web copy, white papers and sales collateral. And in all those years, this was the first time the client had no significant edits whatsoever. “I greatly value Rachel’s reliability, flexibility and knowledge of her craft. She remains calm under deadline and is not afraid to ask my clients the tough questions in order to deliver a first-rate finished product. We were creating a new website and needed a copywriter who could understand our technical terminology. We had hired another copywriter, but she got overwhelmed with the technical aspect of our project and couldn’t finish the copy. I saw Rachel’s work and thought she could help us complete the project. After speaking with Rachel, I saw that she understood our products and had lots of experience writing copy for technology companies. Working with Rachel was wonderful! She provided us with a lot of good copy for both the B2B and B2C sides of our business. She also connected us with a great translator, so we could cover both the French and English sides of our website. I would recommend Rachel to anyone who needs a strong technology copywriter. She’s easy to work with and met all of our deadlines. She also wasn’t afraid to take on our website, which was a daunting task! I contacted Rachel because I needed content for the Content Marketing Institute’s (CMI) blog. I work with many writers, and after following Rachel for some time online, I was impressed by her writing and knew she would be a good fit to blog for the CMI. I really enjoy Rachel’s no nonsense way of writing. Rachel’s topics are spot on, and all of her pieces are well written. She really cares about what the audience experiences when they read. From an editor’s perspective, there is little to no editing needed on her pieces, as they are very clean. She gets it right the first time. Rachel also has a great sense of how to create conversation starters. Her posts for the CMI blog perform very well. 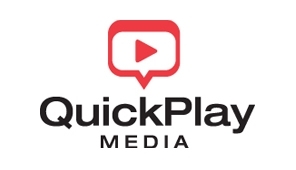 “QuickPlay Media was developing a new website and needed copy that would be easy for our end users to understand. B2B copy tends to be pretty boring, and we wanted to make ours less technical. “The American Marketing Association (AMA) runs a series of events called Roundtables. Summaries of the Roundtables are posted to our website and put in our newsletter, which goes out to subscribers within the Toronto and GTA marketing community. We also send them to our sponsors including The Globe and Mail and Marketing Magazine. “Since the content is co-branded with the sponsors, they allow AMA’s name and content to be delivered to a wider audience. The AMA has a reputation in our industry, and our writing has to be good. “Rachel is an AMA member and volunteered to write summaries of the AMA Roundtables. I agreed once I saw the quality of what she does. Her writing is excellent. “The thing that impresses me the most about Rachel is the reliability factor. She’s also intelligent, pro-active and easy to work with. Principal and Strategist, ZYNC Communications Inc.
“My clients are professionals with sophisticated offerings such as engineers, lawyers and interior designers. I have to be very careful about who I recommend to them, so there are not many people I refer. Rachel is the first person I’ve found who I can recommend to my target market. “Rachel is very special and has a talent that is not very common. I’ve owned agencies for 15 years, and Rachel is the second person I’ve met who has the level of writing that when you get something back, it only requires a few minor changes. “As a marketer, I write a lot of my own copy. However, I need Rachel to help me to organize my marketing into well written material that speaks directly to my target audience. She helps by editing my material to make sure it’s perfect. “Rachel is an amazing copywriter whose writing never fails to impress me. After receiving my copy back from her, I’m always amazed at how she is able to tweak what I’ve written to make it so much better. “Rachel understands marketing. Not only does she write and edit for her clients, but as a talented entrepreneur, she creates marketing campaigns for her own business that get results – this is extremely important to me, because I want to work with someone who walks the walk. “Rachel has also written landing pages that have helped my workshops sell out consistently from the web. Rarely do I have to speak to someone who has questions or needs help deciding to buy. They just buy. Challenge: Donovan wanted to bring more visitors to their website to listen to their Tweep in Profile podcast series. They hoped to raise awareness of both their business and the people featured in the interviews. Solution: Rachel Foster provided press release writing services and a strategy to attract more listeners and media attention. Results: The press release for the March 2011 podcast resulted in a record number of listens and media coverage. “Our firm wanted to break into a new market and needed some copy for our website and a brochure for a ourselves but wanted to hire someone who really “got” our message and would write something appropriate for our business. “Rachel was recommended to us, so we tried her for our project. She quickly sent us well-written copy that only required very minor updates on the first draft. She was very professional and wrote in a language that sounded like us, reflected who we are and didn’t seem like a made-up marketing piece. “Overall, I found Rachel great to work with and I’m using her again for another project – the fact that we are going back and want more speaks for itself! “I hired Rachel to review and wordsmith some reports I was working on. I had worked with Rachel while she was temping at Toronto Hydro Energy Services. When she started her own business, I continued to use her services because I knew she did a great job and I could count on her. I particularly liked that when I sent her something, I would get it back the way I wanted it without a lot of input on my part. “I have an excellent resume and wanted to take its highlights and put them into a bio. After looking at templates online and trying to write the bio myself, I couldn’t seem to get it the way I wanted it. After meeting Rachel, I decided to hire her because I liked how professionally she presented herself and her work. “She finished my project ahead of schedule, and the results were more than what I expected. She recognized my needs and took the time to find out about what I wanted from the project. What really impressed me was when I wanted to make a couple changes to the first draft; she supported my ideas and incorporated them perfectly into the overall document. I was so impressed with Rachel’s work that I’ll be hiring her again.